I enjoy exploring literary works whose titles have been short-listed for awards in my preferred genre; the Hugos and the Nebulas, the World Fantasy Awards. Doing so has led me to many talented authors and dozens of entertaining novels and stories that might have otherwise been lost in the shuffle of new releases. But in a moment of hubris, I must admit that it is exceedingly gratifying when an author whose praises you have sung for years winds up not only having his or her work short listed for an award, but taking home the prize. 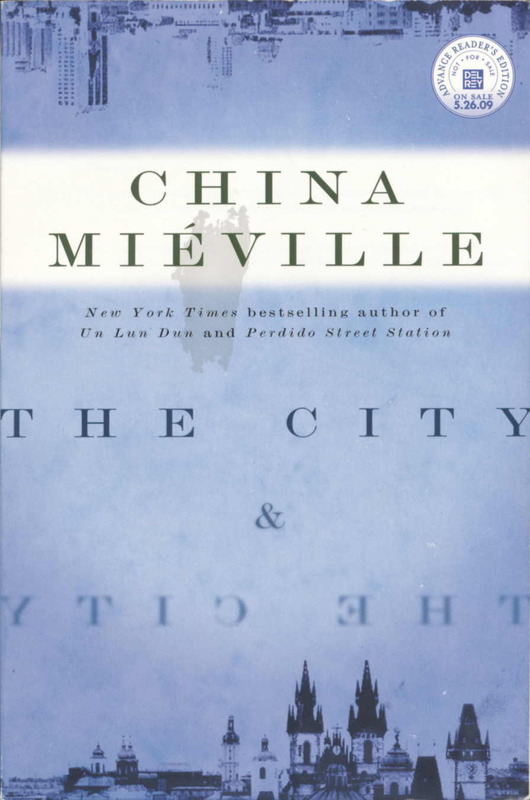 Such is the joy I felt a few years back, when I kept seeing China Miéville winning award after award for his fantasy/detective novel, The City & the City. 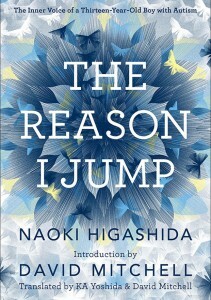 Not only was this book nominated for a Nebula Award and the John W. Campbell Memorial Award for Best Science Fiction Novel, but it won 2009’s Locus Award for Best Fantasy Novel, an Arthur C. Clarke Award, a World Fantasy Award, a BSFA Award and a Kitschies Red Tentacle, and tied with Paolo Bacigalupi’s The Windup Girl for the 2010 Hugo Award for Best Novel. But then again, it’s China Miéville. China Miéville defies adequate praise. The worlds he creates are dark, unique, extraordinary. What other author could take concepts such as mosquito people, a floating random society, or a relationship between a human and an arthropod and make them seamless and, bless his divinely subverted soul, ordinary? Who else could make them so believable that you forget that you’re reading something so fantastical as to be ridiculous, until you try to explain it to someone else, and realize just how hopeless your lesser genius is? In The City & the City, Miéville does it again – creates a world that takes half a book to even begin to understand, but by the time you do, you are so lost in the story that it conversely takes a while for you to reintroduce yourself to the “real” world that you actually inhabit once you’ve taken your eye from the page. But this time, it is not the life forms or the ancillary aspects of Miéville’s created worlds that provide the fantastical – it is the very fabric of the world itself. The opening factor of The City & the City is “normal” enough – a murder. And our narrator is in a traditional role – the senior police inspector on duty when the victim is discovered, who eventually finds himself assigned to the case. But even with this mundane setting, we are kept off balance by the very language and nuance of interaction which lets us know that we are indeed not in Kansas, nor any other recognizable landscape. The people look the same, the buildings, the sky, the vehicles – all recognizable. The murder site could be any major metropolitan slum, with a discarded mattress thrown over the corpse, details given to us by the keen eye of a veteran of the police force. But then they begin to talk, and things get weird, disorienting, because we get no explanation. We simply have to hold on and make a helluva lot of leaps of faith – the main one being that eventually we are going to know what’s going on other than a murder has been committed. Who, what, where, how and when are clear. Why is to be explored. Everything else is off kilter, and keeps tilting until we are halfway through the story – and it’s a breathless and totally exciting ride. By the time the equivalent of Act 3 arrives, our understanding clicks into knowing why we’ve been taken on this ride, and it’s time to hold on for our literary lives until the ultimate (and unpredictable) conclusion to the murder investigation itself unfolds. You see, Inspector Tyador Borlú of the Extreme Crime Squad resides in Besźel, a city with a distinct Eastern European flavor. But the murder victim is a foreigner, and Tyador (our narrator) must work with his somewhat reluctant counterpart in Besźel’s “sister city” of Ul Qoma (which feels distinctly Turkish) in order to uncover a much larger plot than a single murder. This requires Tyador to undertake a border crossing unlike any that you’ve ever imagined. Oh no, no… things are NOT that simplistic. This is China Miéville in his glory, afterall. But the kicker is that nothing is explained. Tyrador is not dictating a story to us, we are simply following along in his head as he moves forward in his investigation. And the world he moves through – the worlds he moves through – make sense to him. They do not to us. We have to accept what he is giving us and hold a hellava lot in stasis until we can make sense of it, leaving us unsettled and lost for much of the first part of the book. But Miéville gives us just enough of a toehold in what we can consider normal, and his writing even in the shadow of the unreal is so exquisite, that we can totally disengage our sense of disbelief and ride along in the squad car. I can’t really tell you more – it would spoil the book and, well, sound utterly ridiculous with my lesser genius. Oh, but I’ve got to mention – as with The Scar and Perdido Street Station, Kracken, or Embassytown, Miéville’s command of the English language is so utterly appropriate and still so lyrical, it defies superlatives. He is one of the few authors that I know who will stump me with words that I have never heard in their context before, and yet are perfect words for the situation (such as describing the drudgery of an urban landscape with the word “tat”). When China Miéville describes squalor, you not only see it – you can taste it. The obstacles his heroes face are overwhelming. The twists his story takes seem annihilating. And yet, as with all his works, The City & the City has a thin but tensile thread of hope running throughout, despite the alienation and strangeness. It’s absolutely, effin’ glorious. Recommendation? Yes, yes, a thousand times yes. Definitely, a book I would love to read.